While the global passenger seat market will grow with an average five percent per year, RECARO Aircraft Seating expects a spike in demand for business class seats in particular. A trend further fueled by passengers’ expectations for airliners to deliver ‘individualized living spaces’ onboard. To be fully ready to answer market needs, RECARO has invested heavily in its R&D for business class seats. For most airliners, business class seating has become the signature product for their passengers as it offers most possibilities to reflect the airline brand. Integrating innovative features in business class, also helps them differentiate from the competition. At the same time passengers expect carriers to deliver individualized comfort in the sky, especially when it comes to business class. This has led to an increase in appreciation for business class seats. 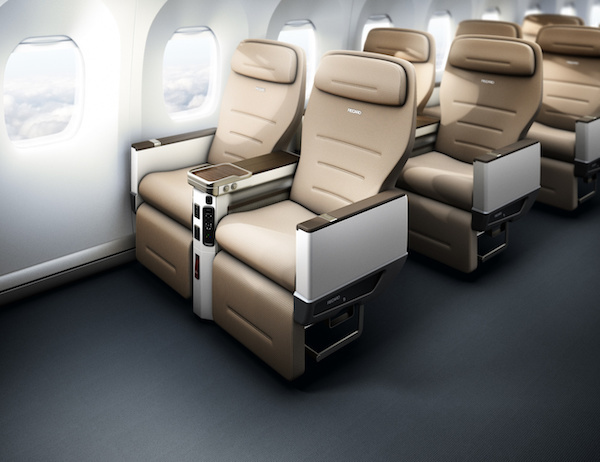 RECARO Aircraft seating will announce a number of innovations for the business class category at the Aircraft Interiors Expo in Hamburg from April 2nd to April 4th.